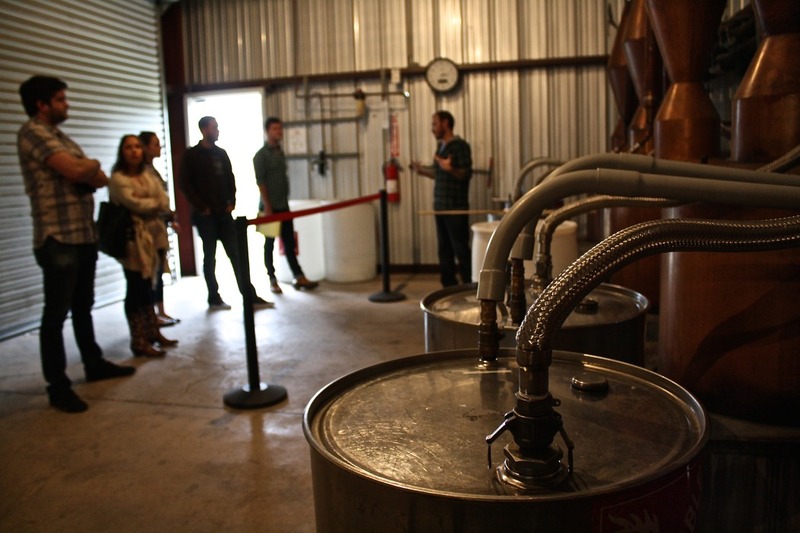 Greg Brigham explains the distillation process to a tour group. "Copper pot stills are slower and require more attention, but produce a higher quality product," says Kevin Kelleher, CEO and Co-Founder of San Luis Spirits. 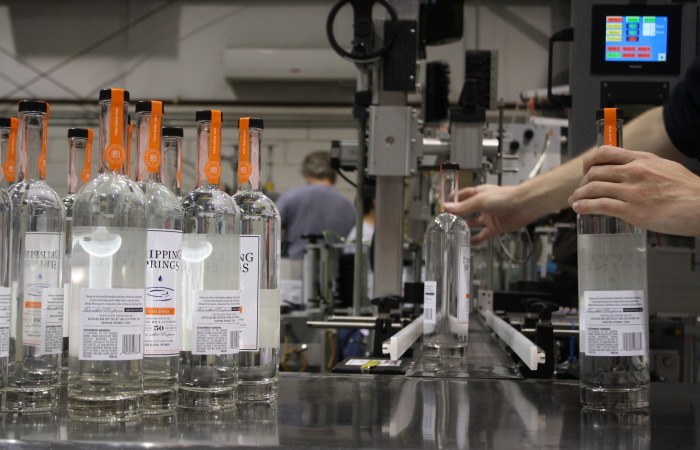 The distilled vodka trickles down the condensing coils into stainless steel holding drums. Dripping Springs Gin is steeped with juniper,hibiscus, cardimom, lime and orange zest from the Rio Grande Valley. Each batch of vodka takes 16 hours to distill. Jen Rios Burns pours a taste of Dripping Springs Artisan Gin. 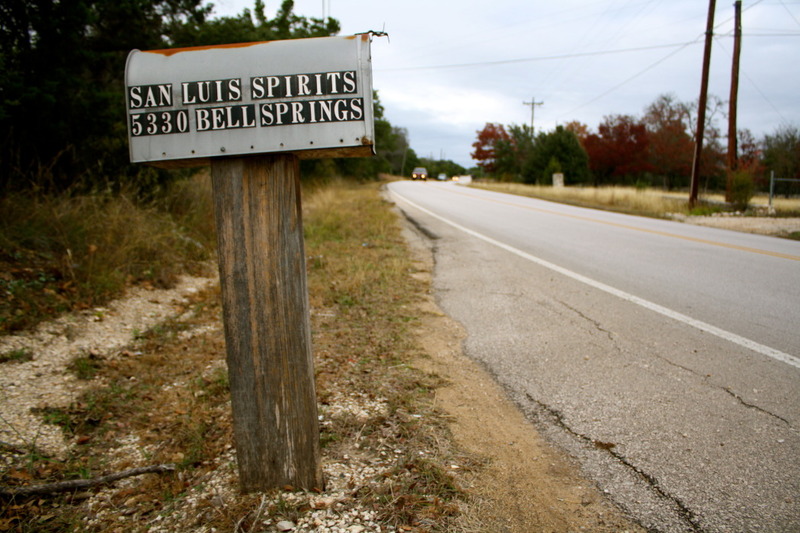 Keep your eyes open or you'll drive right past the distillery in Dripping Springs, TX. 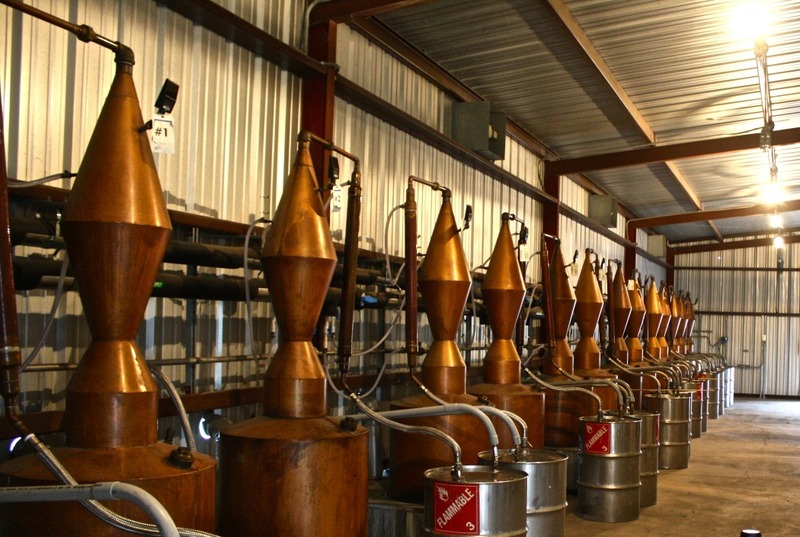 All four hand-made spirits distilled at the San Luis Distillery in Dripping Springs, Texas. I’ve always had a complicated relationship with vodka. It started in college when we met each other and things soon became rocky. It was mostly my fault, because I didn’t know what I was looking for or how to treat her right. I swore her off for a few years after one particularly rough night. Her name was McCormick and she turned on you without warning. I also needed time to mature and learn how to appreciate a vodka you could spend the rest of your life with. Since learning to know what I like, Dripping Springs Vodka has been a staple on my liquor shelf. I decided it was time to round up some buddies, pack up the car, and head for the Hill Country to Dripping Springs, Texas and see where this beautiful spirit comes from. I thought it’d be bigger. That was my first thought upon driving up to the San Luis Distillery’s main building. Once inside, I still expected it to be bigger. Jen Rios Burns, the marketing manager, was waiting for us with a smile at the front door and introduced us to Greg Brigham, a distiller and tour guide. Greg took us out to a small building sitting just behind the main building that housed their fifteen proprietary handmade 50-gallon copper pot stills. 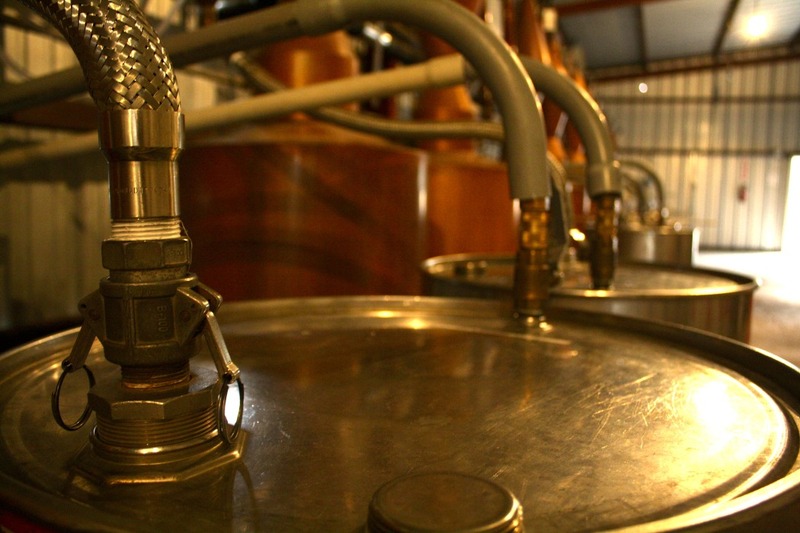 “Our 50 gallon copper pot stills alter and improve the chemical structure and taste of the vodka,” explained Kevin. Fifteen stills may sound like a lot, but the average bathtub holds about 60 gallons of water, just to give you an idea of how small these 50-gallon copper stills are. 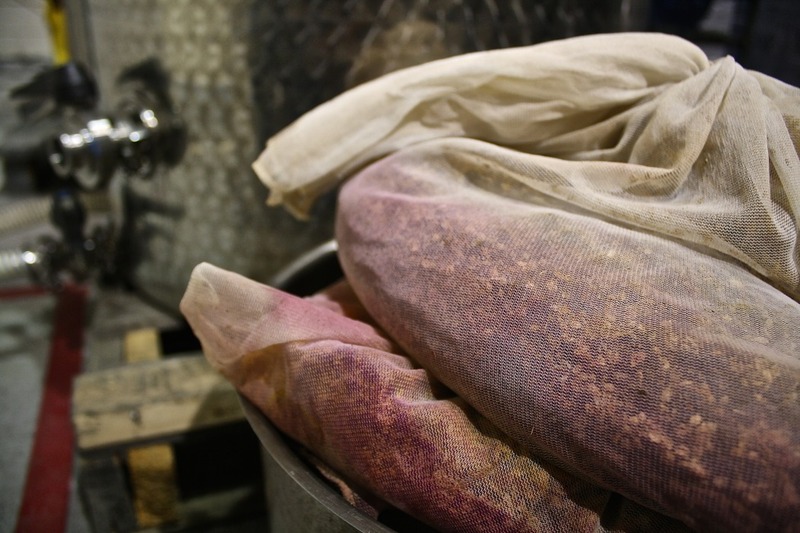 “The 50-gallon approach is a true small batch process,” added Kevin. 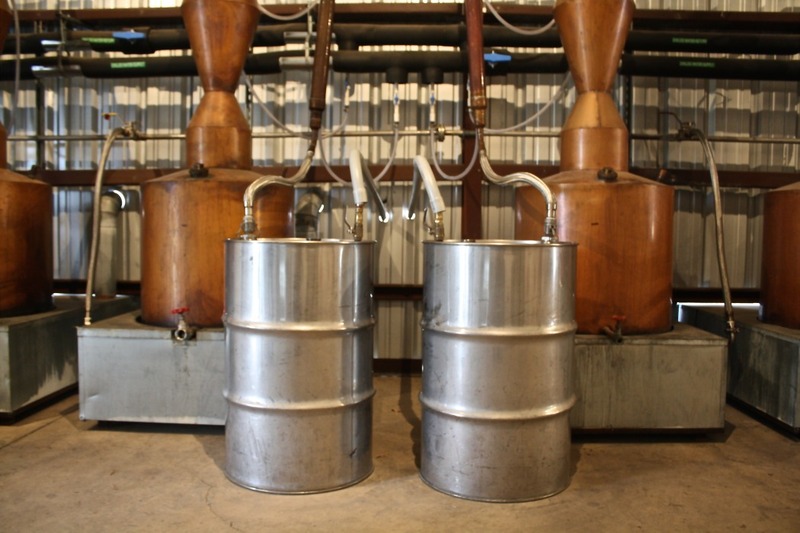 The copper pots distill 190 proof ethyl alcohol derived from non-GMO sweet mid-western corn. 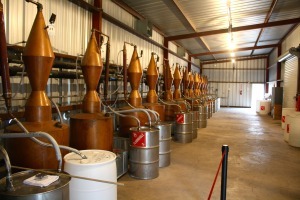 The alcohol is then blended with mineral-rich artesian spring water from the Texas Hill Country. “Artesian spring water from the Hill country has a very specific mineral profile, which softens and cuts the edges of our vodka,” Kevin explained. The vapor comes in contact with the 30-or-so feet of copper mesh on its way to the condensing coil to a stainless steel holding drum. It takes about 16 hours to distill one batch of vodka. The vodka is then filtered through Swedish activated carbon before bottling. Staying true to the small batch process, however, might prove a challenge with Dripping Springs in such high demand. 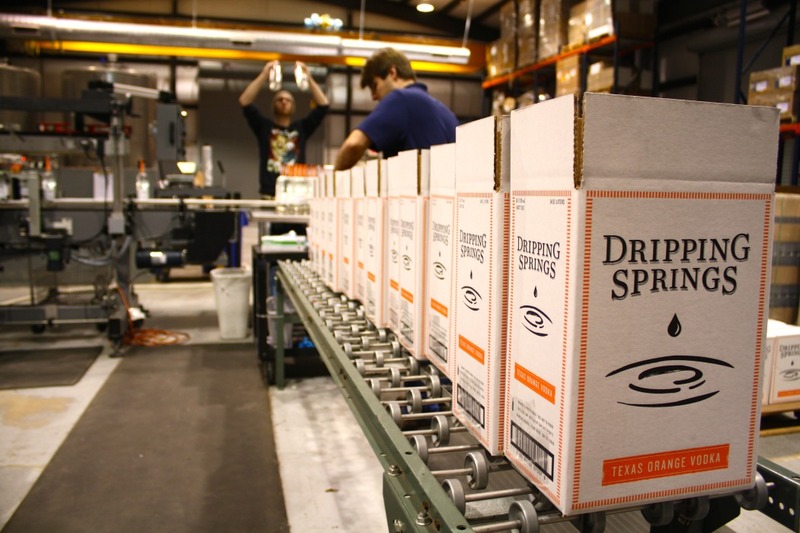 In 2008, they started shipping Dripping Springs to 11 other states and have plans to launch in Tennessee in 2015. From the still building, Greg took us into the main building which houses the bottling line, quality control lab, filtration equipment and product storage. Towards the front of the large room was the bottling line where 5 employees did almost everything by hand. 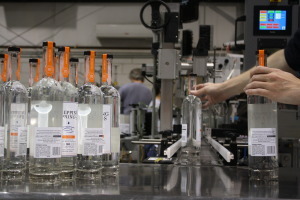 The bottles are rinsed with vodka and then filled on the assembly line. Every bottle is corked by hand, labeled, inspected by eye, and boxed by hand. The tour ended in the front room with a tasting of all four spirits produced at the San Luis distillery. We then moved on to the classic Dripping Springs Vodka. This is simply the way vodka should taste. A beautifully round, crystal clear vodka with perfectly smooth finish. This vodka begs to be sipped straight, and chilled. Right now. This vodka was the reason for our 4 hour drive and I would have happily driven straight down to Brownsville for it. Next up was the Orange Vodka. 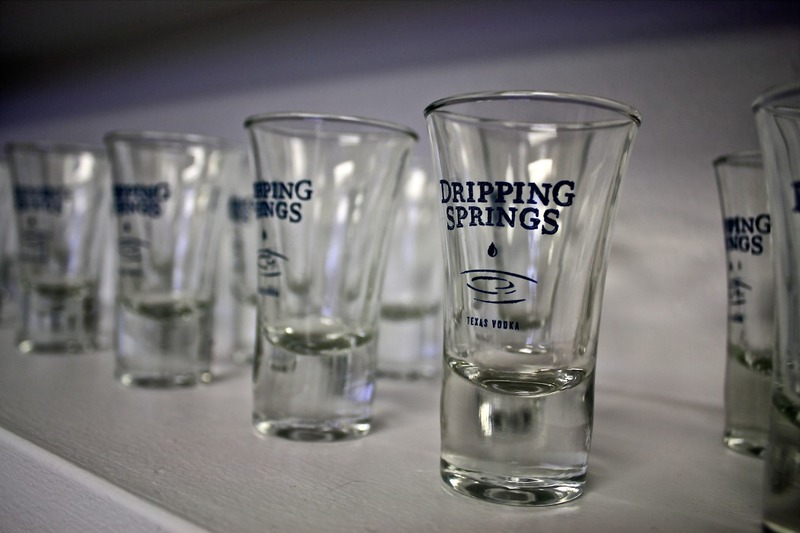 Drippings Springs does orange vodka unlike the flavored vodkas you are used to. There are no sugars, sweeteners, flavorings or extracts. The vodka is steeped with fresh orange zest of oranges from the Rio Grande Valley that are laboriously hand zested by the distillers themselves. Last, and definitely not least, is the Dripping Springs Artisan Gin. Like the orange vodka, this gin has nothing in it that shouldn’t be there. The flavors and aromas of juniper, hibiscus, cardamom, and lime and orange zest from the Rio Grande valley are infused through the steeping process that yields one hell of a bouquet. This is the gin that will change your mind about gin. CSTX: How do you like your martinis? 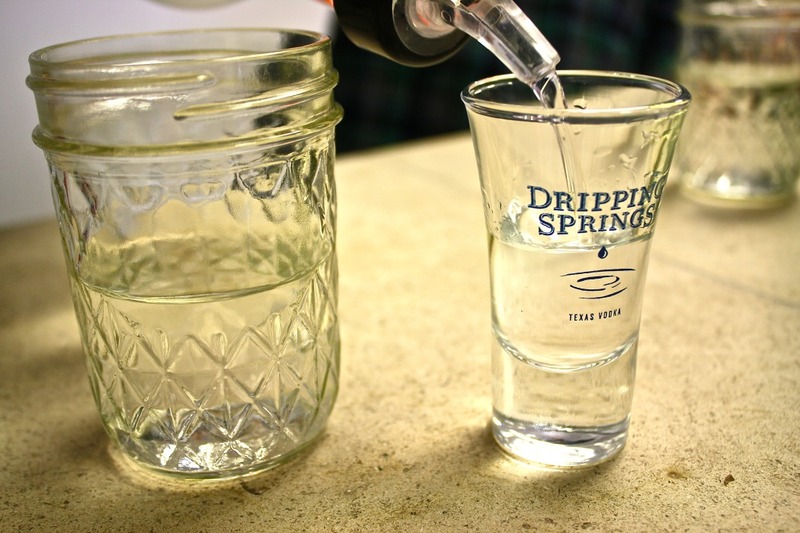 With Dripping Springs Vodka or Gin? Kevin: I like both, shaken quickly with a tiny dash or no Dry Vermouth. I add olives to both. A lemon twist works particularly well with gin. 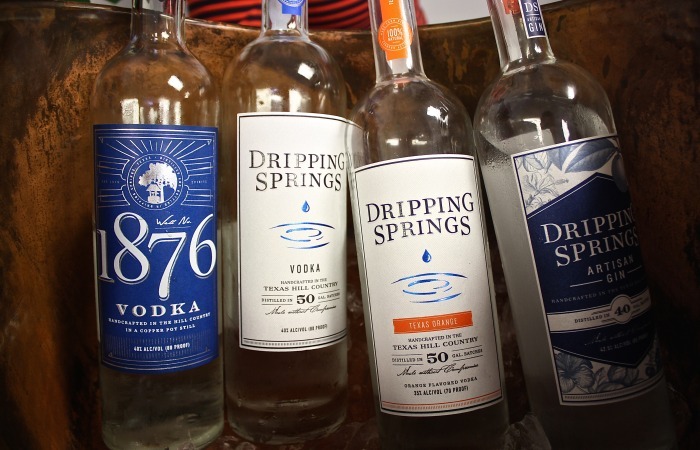 CSTX: What is your favorite food pairing with Dripping Springs Vodka? Kevin: Smoked salmon and prosciutto. On special occasions with caviar. CSTC: What are your favorite things to do in Texas? Kevin: ACL, golf, swimming at Barton Creek. A great steak restaurant. Watching the Cowboys and Spurs. "Come And Take It." Go and See It.